Boonchai Bach, 40, a Thai of Vietnamese origin, was detained on Friday in Nakorn Panom, a town next to the Mekong River on the border with Laos, for his alleged involvement in trafficking 14 rhino horns worth about £ 700,000 from Thailand to Africa in December. The police claim he is the “ringleader” of a “major smuggling syndicate” that has been trading in illicit animal parts for over a decade. He faces up to four years in jail if convicted. Mr Bach’s arrest has been hailed as a breakthrough in dismantling the world’s fourth most lucrative black market industry after drugs, people and arms smuggling – worth £17.5bn a year. He and his family are suspected of being major players in an international supply chain selling poached animal parts from elephants, rhinos, pangolins, tigers and lions to dealers in Laos, Vietnam and China. One of Mr Bach’s clients is believed to be Vixay Keosavang, who is reportedly Southeast Asia’s biggest wildlife dealer. 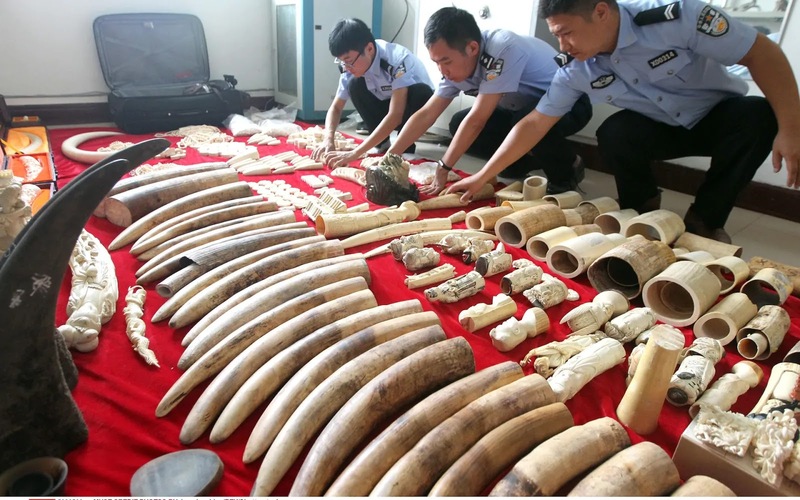 The illicit network of regional traffickers has been dubbed “Hydra” by the authorities and animal rights activists. According to the Guardian, an investigation by Freeland, an organisation countering wildlife trafficking and human slavery, enabled the police to swoop on the suspect. The build-up to Mr Bach’s arrest began last month after a routine inspection of cargo on a flight to Ethiopia uncovered rhino horns. The bags were allowed to pass through, to allow the Thai police to pinpoint the culprits. After tracking all the people involved in the consignment, the authorities say they have enough evidence to charge him. In a statement released on Saturday, Freeland documented how it had tracked the illicit international trafficking networks for several years. “This arrest spells hope for wildlife. We hope Thailand, its neighbouring countries, and counterparts in Africa will build on this arrest and tear Hydra completely apart,” said Steven Galster, founder of Freeland, who has followed Hydra since 2003.